Saint Mary the Virgin, Horton & Saint Benedict, Cowpen. Everyone is welcome. If you are visiting or completely new to church, our Churchwarden or Sidespeople will be happy to help you. Please don’t hesitate to ask anyone for help. We want your time with us to be a pleasant and positive experience. 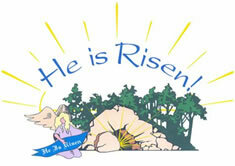 Refreshments will be served in St. Benedict’s Parish Centre after the 10:00am Mass. Enquiries regarding Baptisms, Marriages and Blessings should be made in person at St. Benedict’s Vicarage, Brierley Road on Wednesday evenings between 6:00 p.m. – 6:45 p.m.
Our Parish Centre in Cowpen is available for hire at reasonable rates. We have good access with hearing loops. There is ample on-site parking & kitchen facilities. Parish Mass at 10.00 a.m.
One Service Parish Mass at 10.00 a.m.
Sick or in Need: If anybody becomes ill or needs the ministration of the Clergy please let Fr. John and/or the Churchwarden know as soon as possible. “Pathways in Mission”. 27 Bishops will visit the Newcastle Diocese. 3 Bishops will be coming to churches in the Bedlington Deanery. Lots of events are being organised in Blyth. Watch this space!!! !